Top right--block 8, Bouquet. Done is better than perfect! Bottom left--block 9, Box. Adding in some darks. 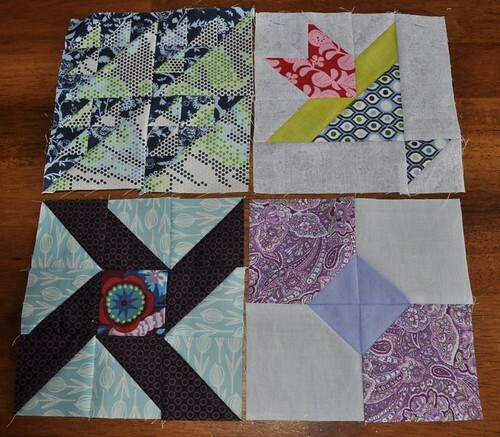 Bottom right--block 10, Bow Tie. Kind of monochromatic. I've been resisting but I think I might take the plunge in Farmer's Wife. Is It just me or is anyone else doing Farmers Wife have a problem with a itty bitty 2 inch template per sheet of paper am I doing it wrong?